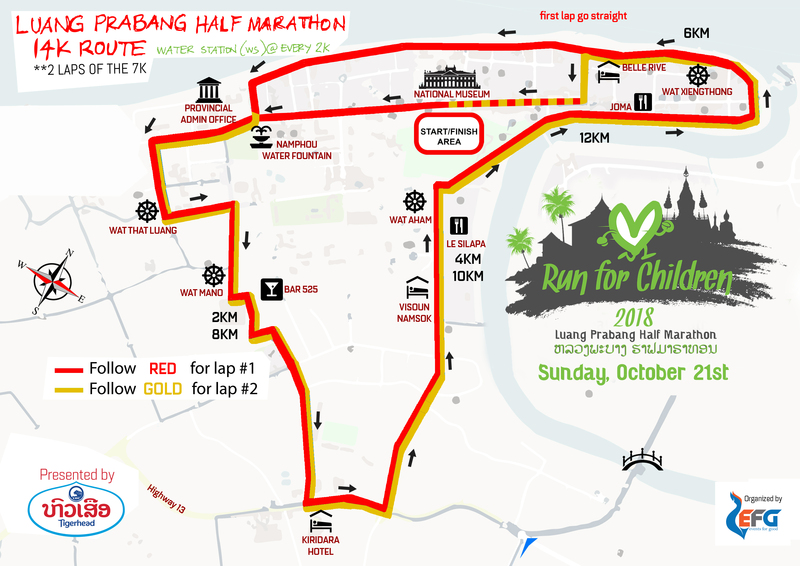 Check out the course map for the 6th Annual Run for Children: Luang Prabang Half Marathon! The route is the same as 2017. The race will start in front of the iconic National Museum and loop through golden temples and the scenic Mekong and Nam Khan Rivers. 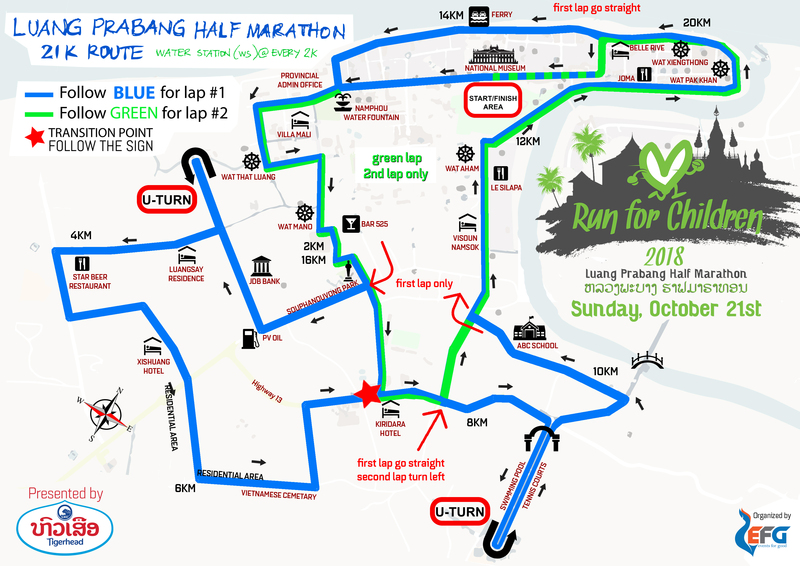 Check out the maps of the course below. Click the virtual map to follow the route on a GPS map.